If you are reading a blog on SAP HANA, you probably already know that it is an in-memory data platform built to handle massive amounts of data in real time. You probably already know that it can be deployed as an on-premises appliance or purchased as a hybrid or cloud service. You probably even know that it stores data in columns instead of rows, is ACID-compliant and supports SQL. 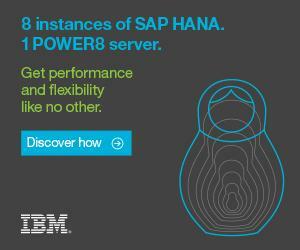 But, do you know why you should love SAP HANA? The first reason to love SAP HANA is that it is a columnar database, meaning that it stores data in columns instead of rows. Why does that matter? Well, the goal of a columnar database is to make queries return data faster. When you store data in columns, all the values for each column are physically stored together, which allows individual data elements, like DUNS Number, to be stored together. This means that data can be compressed better, which allows columnar operations, like MIN, MAX or SUM COUNT, to be executed much faster than on data stored in rows. In addition to being faster, a columnar database is self-indexing, which means it uses a lot less disk space than a relational database, and it also means you can modify the database schema without worrying about changing existing applications. The second reason to love SAP HANA is that it offers real-time analytics. Because HANA can run in parallel with a source SAP ERP application, transactional data can be accessed by analysts in real time. This means no more waiting on scheduled batch reports. With SAP HANA, you can gain immediate insights to how your business is running, which allows you to react and adjust with more agility. SAP HANA also allows access to a large variety of data, including structured, unstructured, spatial, time series and streaming data, and you can prepare, build and deploy reusable models quickly. But having access to real-time data is good only if you can do something with it. And, this leads me to the third reason to love SAP HANA: it allows you to develop and deploy real-time applications. Usually getting real-time response from applications is problematic because of the massive volumes of unstructured and complex data that has to be handled. SAP HANA provides an in-memory development platform that makes applications easier to develop and maintain, because you never have to worry about aggregates or indexes. Coupled with the ability to keep hot data in memory, this makes applications built on SAP HANA scream. A fourth reason to love SAP HANA is that it is offered as a cloud service for infrastructure, database and apps, and it has multiple subscription options. This is especially great for mid-sized enterprises that may not have the up-front capital to invest in software or hardware, but want the tactical advantage of an in-memory database. Finally, you should love SAP HANA because it supports open standards, which means developers are not constrained by having to learn new programming languages. Enterprise apps easily can be built to integrate with SAP or non-SAP solutions with minimal hassle. In the end, there are plenty of reasons to love SAP HANA; these are just a few. If you are looking for an in-memory database solution that provides real-time insights to your business and customers, that allows fast and easy application development and database schema mods, and that provides all the benefits of a cloud-based solution, take a look at SAP HANA.